It's a tale of two cities: Stockton, CA, population 290,000, has a deficit of $26 million and is about to be the biggest U.S. city to declare bankruptcy. 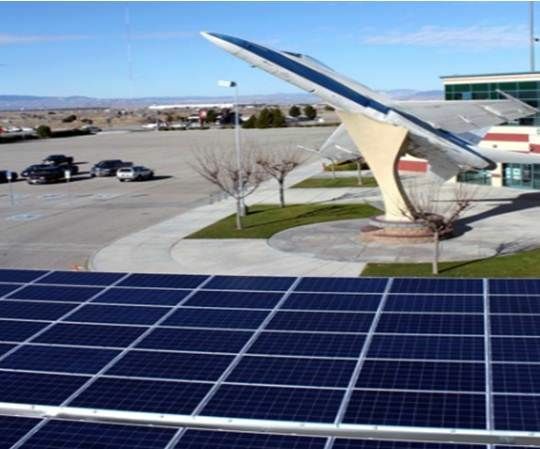 Lancaster, CA, population 150,000, has a budget of $109 million, a solar program that will earn it a revenue stream of $1.5 million annually through 2017 and $800,000 annually for the following twenty years, and a plan to turn itself into the solar capital of the nation. Since July 2010, when it began Solar Lancaster, a partnership with third-party finance pioneer SolarCity, the city has facilitated approximately 27 megawatts of installations, including at its baseball field, its performing arts center, City Hall, Lancaster City Park, and an array of businesses and residences. Buoyed by Solar Lancaster’s success, the city took up a bigger solar ambition. It set out to solarize its school districts with an innovative financing plan. Two of Lancaster’s school districts are now guaranteed an electricity rate reduction from eighteen cents per kilowatt-hour to 12.5 cents per kilowatt-hour. Their solar will save them $325,000 or more annually for 25 years. Thanks to those savings and the City’s revenue stream, solar will keep teachers in classrooms, cops and firefighters on the job, public parks and museums available to kids, and so on. To build the school district’s solar, Mayor Parris and the City Council took the risky step of issuing a tax-exempt municipal bond. Now fully sold, it raised $27 million. The successful close of the bond sale proved the concept, said Deputy City Manager Jason Caudle, a former investment banker who worked out the financial details of Mayor Parris’ vision. “Sometimes when we talk to a city about this degree of going solar,” SolarCity’s Cahill said, there is “an aversion to doing a new structure.” There was, he said, no aversion in Lancaster. SolarCity guaranteed the city a minimum amount of kilowatt-hours and took responsibility for system installation and maintenance. 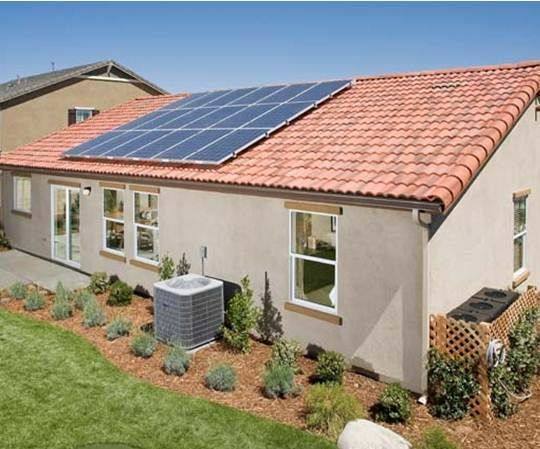 SolarCity benefited from the 30 percent federal investment tax credit and from accelerated depreciation of the system, both unavailable to the non-taxpaying city and school district. What has emerged is Lancaster’s California Clean Energy Authority (CCEA). 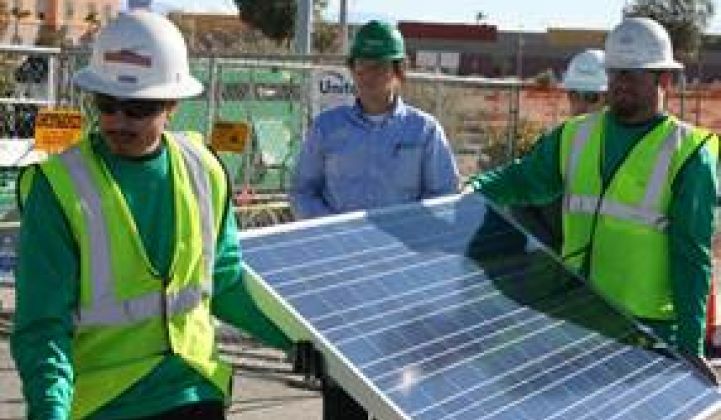 Through it, Lancaster will partner with developers like SolarCity and form Joint Powers Agreements (JPAs) with other California cities. It is a Property Assessed Clean Energy (PACE)-like structure that benefits municipalities but avoids the Federal Housing Authority objections that stopped PACE’s initial success. “We’re talking to cities,” Swan added, that are “too financially strained to put people on it or that may not have the political will to do their own program.” The business model, she said, could work anywhere.